LAFAYETTE, Ind. –- The YWCA Greater Lafayette Board of Directors has hired a new executive director. 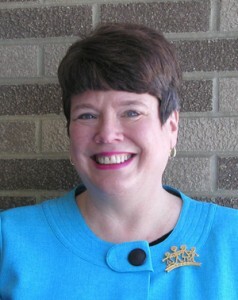 Mary Ann Forbes, formerly of Fort Wayne, starts her new position on Monday, May 3, 2010. Forbes most recently was Chief Operating Officer of the Girl Scouts of Northern Indiana-Michiana, where she provided operational leadership of a newly merged, 22-county council with 20,000 girls and 5,000 volunteers. Prior to that she was Chief Executive Officer of the Girl Scouts of Heritage Trails Council in an eight-county area of Central Ohio. She was the Director of Venango County Head Start in Pennsylvania from 1977 to 1989. “I am so very pleased to be selected as the executive director for the YWCA Greater Lafayette and look forward to working with the Board of Directors, the staff, the members and our community partners as we advance the YWCA Mission and Vision on behalf of the women and children we serve,” Forbes said. There will be a welcoming reception from 4:30 to 6:00 p.m. on Thursday, May 6, at the YWCA, 605 N. 6th Street, Lafayette. The reception is open the public. Those planning to attend are encouraged to respond by noon on May 5 to Shanna Brinegar at 765-423-7023 or sbrinegar@ywcalafayette.org.